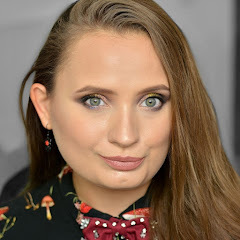 W filmiku pokazałam: -Kat von D Serpentina palette -Kat von D Lock-it setting powder, translucent http://spradamakeup.blogspot.com/2016/10/recenzja-kat-von-d-beauty-lock-it.html -Kat von D Lock-it Concealer nrL7 warm -Kat von D Everlasting Liquid Lipstick: Bow N Arrow, Bauhau5, Exorcism -Kat von D Everlasting Mini Liquid Lipstick Set (kolory: Plath, Santa Sangre, Mother, Lovesick, Backstage Bambi, L.U.V., Roxy, Echo) -Kat von D Studded Kiss lipstick: Lovecraft, Piaf, Hexagram, Homegirl -Physicians Formula Mineral Glow Pearls, Beige Pearl http://spradamakeup.blogspot.com/2016/10/recenzja-physicians-formula-mineral.html -Hard Candy Baked Bronzer nr 129 tiki -Hard Candy Baked Blush nr 125 living doll -Hard Candy Glamouflage, ultra light -ELF HD Undereye Setting Powder -ELF HD Powder, shimmer -ELF Lip Exfoliator -Maybelline Fit me! (normal to dry), nr 210 sandy beige -Maybelline Age Rewind concealer, fair clair -Maybelline Dream Bouncy Blush: nr 15 rose petal, nr 40 pink plum, nr 45 orchid hush -Maybelline Color Tattoo nr 55 inked in pink -Loreal Infallible eye shadow nr 557 glistening garnet -Covergirl Clump Crusher Mascara, black brown -Covergirl Katy Kat Eye, black -Covergirl Katy Kat Matte lipstick, Perry Panther -NYX Highlight & Contour Palette -NYX Liquid Suede: Vintage, Amethyst, Stone Fox -NYX Studio Liquid Liner, Extreme blue -Giorgio Armani Bronzer nr 600 -Giorgio Armani Blush nr 502 skin -Giorgio Armani Rouge dArmani Sheers nr 500 -MAC matte lipstick, Instigator -Marc Jacobs Re(Marc)able foundation nr 34 Beige medium http://spradamakeup.blogspot.com/2016/10/recenzja-marc-jacobs-remarcable-nr-34.html -Marc Jacobs Genius Gel nr 26 Bisque medium -Marc Jacobs Re(Marc)able concealer nr 3 young -Urban Decay Moondust palette -Lime Crime Venus 1 -Essie Silk Watercolor palette 1 -Sinful Colors, Kylie Jenner collection: taupe is chic, konstellation, purple kraze, kosmos, kool as kukumber -OPI: Dating a royal, Goldeneye, Second Honeymoon -Layla Pro nr 08 -NYC Shine in a minute nr 202 -California Mango Cuticle Oil Zapraszam również na: FP: https://www.facebook.com/spradamakeup Bloga: http://spradamakeup.blogspot.com/ Instagrama: https://www.instagram.com/spradamakeup/ Dziękuję jeszcze raz za oglądanie, lajki i subskrypcje. Do zobaczenia niebawem.